Puerto Rican rap duo Calle 13 is still maintaining its “rebellious spirit” and edge, but the duo is changing its tune a bit — and this evolution has occurred with more life experience, Melissa Castellanos reports in this article for Latin Post. In Multi_Viral, Calle 13’s fifth album, René Pérez Joglar, 36, described his new lyrics as “more existential” than previous Calle 13 efforts, The New York Times reports. “Suddenly I’ve started to be more aware, or worried, about living and dying,” Pérez said. “I thought, maybe I can do something bigger than politics.” His feelings could have something to do with the fact that he and his wife, the Argentine actress Soledad Fandiño, are about to have a life-altering experience — the couple is expecting their first child in August. While Calle 13 got its start creating “hilariously raunchy club hits” the duo evolved into “two of the most visible and socially conscious Latin musicians today.” According to NPR, which is streaming the album for a week, the duo further put itself on the map well beyond music by being supportive of the independence movement in Puerto Rico as well as its sympathy for Venezuela’s current government. The duo’s stance has stirred controversy and even prohibited them from performing in their hometown of San Juan and in parts of Colombia. 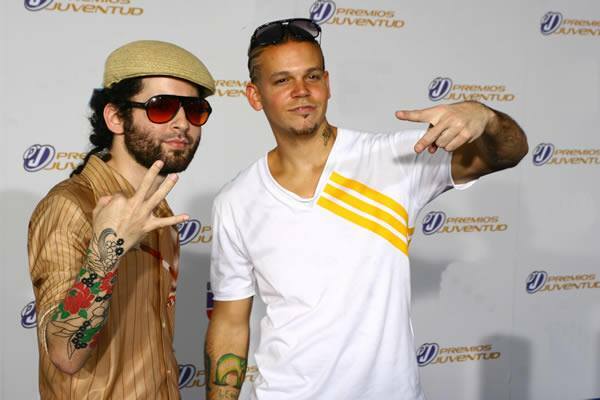 Like The Spanish-language rappers that make up Calle 13 are frontman, René Pérez Joglar and his brother, Eduardo Cabra. Their last record, “Entren Los Que Quieran” was a huge success and received a record 10 Latin Grammy nominations. They currently have 19 Latin Grammys, which is more than any other Latin group. On Calle 13’s newest album, Multi_Viral, there’s a duet with one of the most iconic political troubadours of Latin America, Cuba’s Silvio Rodriguez, NPR points out. Yet another eyebrow-raising collaboration is with Julian Assange (in the song “Multi_Viral,” he has a spoken-word bit) and an introduction by writer Eduardo Galeano. However, NPR adds that the best part of the album is when the duo appears “alone with their vulnerabilities,” an essential part of its success, thus far.